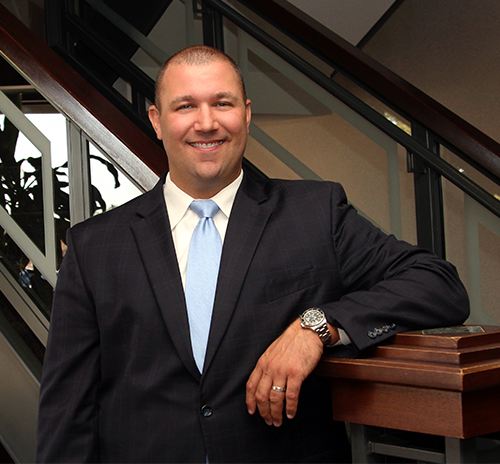 For more than a decade, Tim has served a select group of successful individuals, families and institutions from across the country by assisting them with their investment management and financial planning needs. He sees to it that his clients are provided with personalized solutions to their individual situations, and focuses not only his professional attention but also his personal interest in the pursuit of their financial goals. You can rest assured that Tim and his staff will take the time necessary to gather information specific to your situation, then formulate a comprehensive plan to help you pursue your goals, too. Though Tim has developed a specialty in creating and managing multi-generational wealth, other services he provides include portfolio and cash management; retirement, estate and charitable gift planning; annuities, life insurance and fixed income products; and much more. Tim has earned Series 7, 9, 10 and 66 licenses, and holds life and health insurance licenses, as well. A native of Omaha, Tim is a graduate of Bellevue University, where he earned a Bachelor of Science in business administration. While at Bellevue, he also played on the university’s baseball team. Today, Tim and his wife, Jen (his high school sweetheart), live in Elkhorn with their three children. Outside the office, Tim is the director of pitching for Omaha Tigers youth baseball and serves on the organization’s board of directors. He is also the varsity pitching coach at Bellevue West High School and a former board member of the MWC Wrestling Academy. Along with his athletic coaching endeavors, Tim is an avid outdoorsman who enjoys golf, hunting, fishing and serves as a hunter safety instructor. Tim also breeds and trains Chesapeake Bay Retrievers that compete in both hunt test and field trials. an open, honest discussion about investing their own money.